Portland's PREMIER Ethanol Event is here! 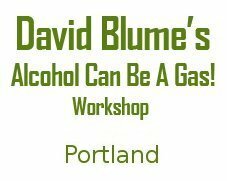 Dave is traveling to Portland in October to present Alcohol Can Be A Gas. Come learn all the benefits and secrets about ethanol/alcohol fuel.